Dina Maitland spends almost as much time extricating her movie star mother from personal messes as she invests in her forensic accounting job. So much time, her job may no longer be there once Dina returns from cleaning up her mother’s latest fiasco, her engagement to a twenty-year-old film student. 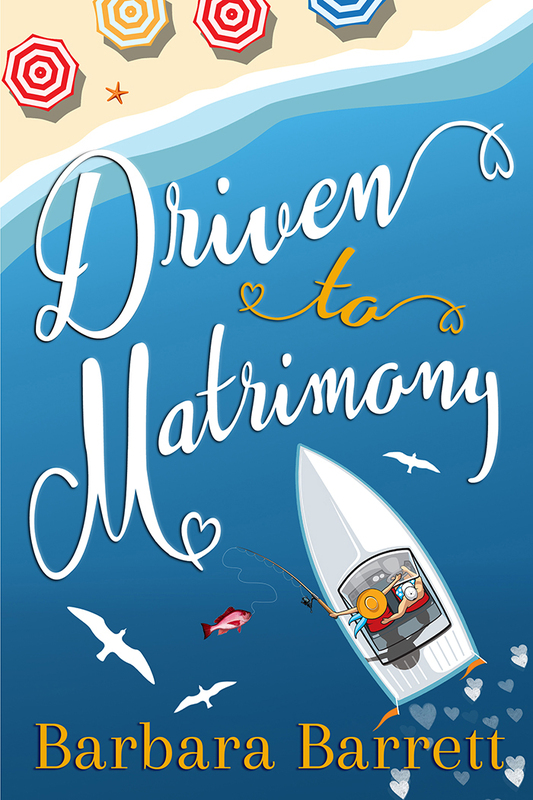 Vowing it’s the last time she puts herself on clean-up duty, Dina sets off for South Carolina to stop the pending nuptials and along the way, almost literally, runs into the father of the groom, Ben Cutler. Single father Ben can ill afford time away from his business, with his competitors threatening to appropriate his new product, yet his son takes priority. Little do they know when they team up to prevent the nuptials they will wind up in a more personal alliance of their own. Ben Cutler spotted the out-of-control sports car staggering for the open road as soon as he entered the parking lot. It moved in fits and starts, then seemed to gain speed as it headed directly toward him. Only quick reflexes and a last-minute dive out of the vehicle’s path saved him from an otherwise painful impact. The woman was a demon! Had she deliberately tried to mow him down? He dismissed the notion as the car continued to swerve back and forth across the roadway only to veer off and skid down an embankment. There it came to rest, sinking into what from where he stood looked like marshland. Had she injured herself? He broke into a fast trot and headed down the road to check. Foolish woman. Taking off like a runaway train when she obviously didn’t know the first thing about operating a stick. Just like so many so-called modern women. Independent. Know-it-all. Until they needed help, and then, no matter what a guy did, it wasn’t what they wanted. Ben slowed his pace when she emerged from the vehicle only to step into the muddy bog. Whoa! That misstep wasn’t going to improve her mood. He couldn’t have called it better. She struggled to unplug one foot from the gunk. When she finally succeeded, it was unclear whether a shoe still remained or had been left behind, buried, because dark mud covered the entire appendage. In order to remove the other foot, she was forced to stick the first foot back in the muck, and this time, it seemed to sink even deeper. As she realized the depth of her predicament, her reaction transformed from surprise to dismay to anger. He could have sworn he heard epithets not becoming a lady, but he wasn’t close enough to discern her exact words. She appeared unharmed, though she’d probably never wear those shoes again. He should be furious with her for leaving him behind and almost mowing him down. But despite her actions, her gyrations fascinated him as she tried to figure out the extent of the car’s troubles and how to extricate both herself and the little sports car from the quagmire. She was kind of cute trampling through the mire, tentatively lifting one foot, then the other to inspect the damage. She bent over and his breath caught. Cute became curvaceous. She tromped back to the car, got in, and discarded her shoes, pitching them over the door to the outside with a vengeance. Nothing happened when she attempted to restart the vehicle. It wasn’t even grinding or kicking up mud. Just emitting a half-hearted gurgle. Dina leaned over the door and frowned at her slimy surroundings. Despite the sleek cut of the auburn hair that hit just above her shoulder, she looked pathetic and vulnerable. I love Hollywood’s screwball comedies of yesteryear. Films like “The Philadelphia Story” and “His Girl Friday” featured strong female leads (for instance, Katharine Hepburn and Rosalind Russell) teamed with witty, charming leading men (Cary Grant and James Stewart). More recently, “What’s up Doc?” with Barbra Streisand and Ryan O’Neal attempted to repeat the genre. I wanted to write my own screwball comedy because I love the fast pacing and great one-liners of those movies. I took my inspiration, not the plot, characters or setting, from Carrie Fisher’s Postcards from the Edge, the tale of a mother and daughter struggling to come to terms with each other’s personalities. Since this was to be a romance, it had to revolve around a love story. As it turned out, there are actually five love stories: the main story between Dina Maitland and Ben Cutler; the mother-daughter story between Dina and her movie star mother, Jocelyn; the strong relationship between single dad, Ben, and his college student son, Rick; though divorced, there’s still much shared by Jocelyn and former husband, Cal, Dina’s father; and finally, there’s the developing love amongst all five members of this new family. The story also skirts the issue of cougar romances, since the event that triggers the ensuing actions is Jocelyn and Rick’s announcement of their engagement and imminent marriage. Jocelyn is in her early fifties and Rick is twenty. Neither Dina nor Ben is delighted to hear the news, but it’s not the age difference that concerns them. Dina worries that her mother may be taking up with a significantly younger man to garner more publicity, while Ben secretly fears his son may have attached himself to the established star to jumpstart his fledgling directorial career. I wanted to make it clear to readers that I had no problem with the idea of an older woman involved with a younger man. This just wasn’t the story in which I wanted to explore that situation. I’ve visited South Carolina a number of times over the years, once spending several days on the Isle of Palms just north of Charleston and a few years back, staying with a friend who lives in the low country near Hilton Head. All these experiences combined in my head to help me create the lush, isolated backdrop of the fictional Edgar Island for this story.